Iranian air force chief says Tehran regime prepared for 'decisive battle' with Jewish state which will lead to its destruction. 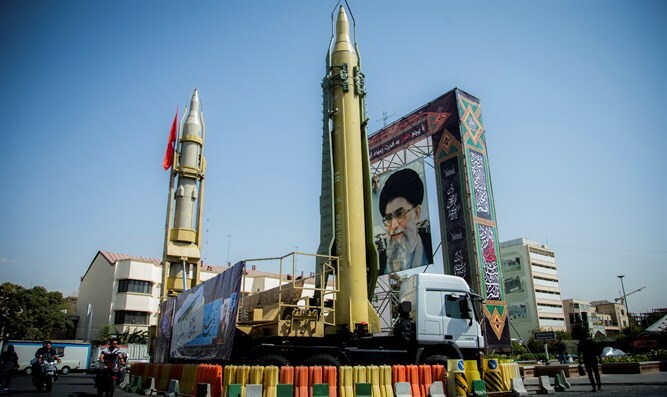 Iran is prepared for a cataclysmic final battle with Israel, a senior Iranian military leader said Monday, following the latest escalation between the two countries. “We are prepared for the decisive battle against Israel, which will lead to its elimination,” Aziz Nasirzadeh, the commander of the Iranian air force, was quoted by Al Jazeera as saying Monday morning, several hours after Israeli forces hit Iranian and Assad regime positions in Syria. Following the attack on northern Israel, the Israeli military has ordered the closure of Mount Hermon near the Syrian border to visitors. IDF forces in the Golan have been placed on elevated alert, Hadashot 12 reported.